Washington, D.C. – On Friday, Senators Elizabeth Warren (D-Mass.) and Tom Cotton (R-Ark.) applauded the Senate's passage of their bipartisan resolution to designate October 28th, 2017 as Honoring the Nation's First Responders Day. "Each and every day, our first responders put their own lives on the line so they can help others. This resolution reflects our gratitude for their service, and offers them the recognition they deserve for keeping our families and communities safe," said Senator Warren. "I'm grateful for the efforts of Officer Sean Collier's family in supporting this resolution to honor Sean, and all of the courageous first responders serving across our country." "I thank my colleagues for passing the resolution. After everything our first responders do for us, setting aside a day to honor their sacrifice is the least we could do," said Senator Cotton. 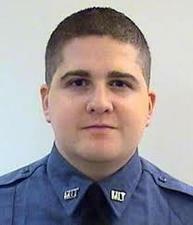 The family of Massachusetts Institute of Technology (MIT) police officer Sean Collier, who was killed during the events following the 2013 Boston Marathon attack, played an important role advocating for this resolution. "Honoring the Nation's First Responders Day' would be a meaningful tribute to my brother and all first responders. I am glad to see it pass the Senate, and I'm grateful to all those who have taken up this cause," said Andrew Collier, brother of Sean Collier. The resolution was introduced earlier this year by Senators Warren and Cotton, along with a companion concurrent resolution in the House introduced by Congressmen Mark Meadows (R-North Carolina), Michael Capuano (D-Massachusetts), and Elijah Cummings (D-Maryland).